Self-driving cars are expected to take over the roadways in the next two decades, but the vast majority of the fleet will likely be dedicated to services and not owned by individuals, according to a new report by IHS Automotive. 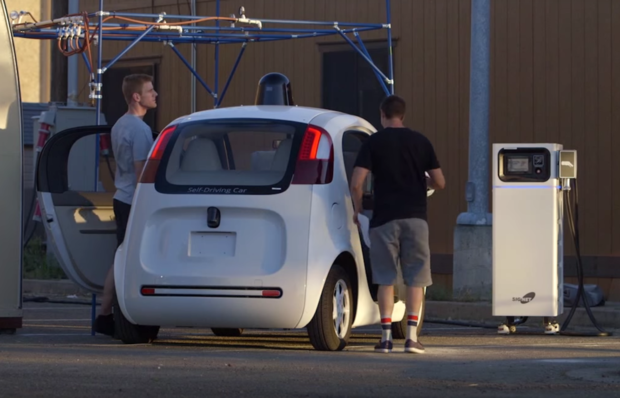 Within five years, Google and carmakers are expected to have driverless vehicles on the world's roadways. By 2035, 12 million self-driving and driverless cars will be sold globally, IHS Automotive estimates. However, given that 85% of the world's population doesn't have a driver's license and teenagers in developed countries are waiting longer to get a license -- and driving less when they do -- the majority of autonomous vehicles will likely be used by a services industry. Car-as-a-service (CaaS) opportunities are becoming a new driving force for urban transportation, according to IHS Automotive. Essentially an extension of ride-sharing using driverless vehicles, CaaS will enable people to summon a car via an app or to be used for deliveries. IHS estimates that the deployment of driverless CaaS will begin before 2025 and will have an increasing impact as technology advances and driverless car volumes grow. In addition, autonomous driving and the associated costs will dramatically lower the cost of mobility services as a whole. CaaS also will provide car mobility services for anyone, since no driver's license is needed. And it will be an affordable transportation means for a large portion of the global population. IHS Automotive estimates there are currently 6.2 billion people globally without a driver's license, or nearly 85% of the world's population. While the majority of today's car manufacturers are taking an evolutionary approach to autonomous vehicle research and development, increasingly adding advanced drivers assistance systems (ADAS) and partial self-driving features, Google is taking a revolutionary approach -- building a fully autonomous vehicle from the ground up. Google's autonomous car, which is already being tested on U.S. roadways, will have a major impact in the coming years, according to Egil Juliussen, senior director at IHS Automotive Technology. Uber is also beginning to implement some of its own R&D in CaaS. Driverless car mobility services will mostly happen in urban areas and will primarily be short trips. Software will be a key differentiator in autonomous vehicles, as it's responsible for interpreting the information from a vehicle's sensors and can learn to mimic the driving skills and experiences of the very best drivers. 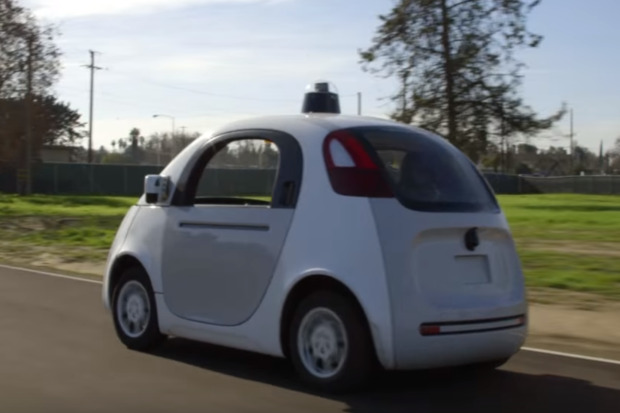 Google is the current technology leader in this arena, according to IHS Automotive. The company has invested nearly $60 million so far in autonomous vehicle research and development, which works out to about $30 million per year. Unlike traditional vehicle manufacturers, Google can leverage related technologies and information from its other projects and investments, IHS said. Google has been involved in robotics, drones and similar technologies that help in driving, including neural networks, artificial intelligence (A.I. ), machine learning and machine vision. Those additional R&D areas have provided Google researchers with expertise not available directly to traditional carmakers, IHS said. "No other company has as much relevant technology to advance autonomous driving software," said Juliussen, who authored the IHS repor. Toyota's recent announcement of a $1 billion, five-year investment in A.I., driverless cars and robotics is likely partly due to Google's rapid technology advances. Google's self-driving car software is already performing better than nearly all drivers in the vast majority of traditional driving situations -- at least in good weather, according to IHS analysis. Google's strategy is to provide the technology infrastructure, maps and software to make CaaS happen sometime after 2020. Still lacking, however, in Google's autonomous vehicle software is the ability to predict and react to "once in a million" events -- such as performing under diverse weather conditions, unique road work, specific traffic situations and other non-traditional driving situations. Driverless vehicles will also blow open the market for electric vehicles (EV), as driverless car mobility services will mostly happen in urban areas and will primarily be short trips; those characteristics favor EVs as the powertrain for driverless cars; they can easily re-charge themselves using existing and growing public charging networks as needed between trips, which eliminates any range anxiety. IHS Automotive forecasts that global EV charging stations will grow from 650,000 in 2015 to more than seven million in 2021 (excluding home charging outlets). Mega-cities and other large urban areas also will prefer low emissions and as a result, should be keen to implement fleets of driverless EVs in their communities. IHS Automotive forecasts that the global production of battery EVs will grow from 273,000 in 2015 to 1.3 million in 2022. And global production of plug-in hybrid EVs is projected to grow from 179,000 in 2015 to over 2.4 million in 2022. Driverless car fleets for CaaS are likely to greatly increase the sales of EVs after 2025.